Last month I was invited to be apart of the team over at the Torontoist as a staff illustrator. Above is my second job for them that discusses a blog that takes two randomly selected articles from Wikipedia, briefly talks about them, and lets readers decide which is better. Tournament of Everything is “set out to determine what is ACTUALLY the Best Thing Ever”. Check it out. Working with a daily blog like Torontoist, the turnaround rate is pretty quick. With this job in particular, I only had a day to finish the illustration from sketch to final. If I had, say, a few more days, I might have refined the concept and painted it entirely. 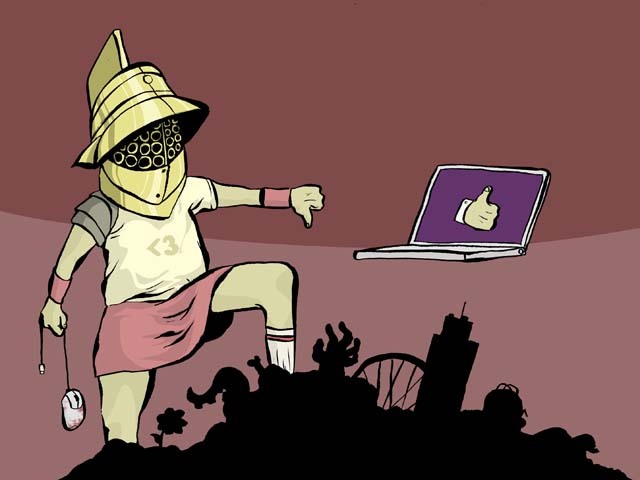 Please ignore the internet gladiator’s magical left leg.